Learning shapes isn’t just a fun activities for toddlers, it’s also the building blocks to math. 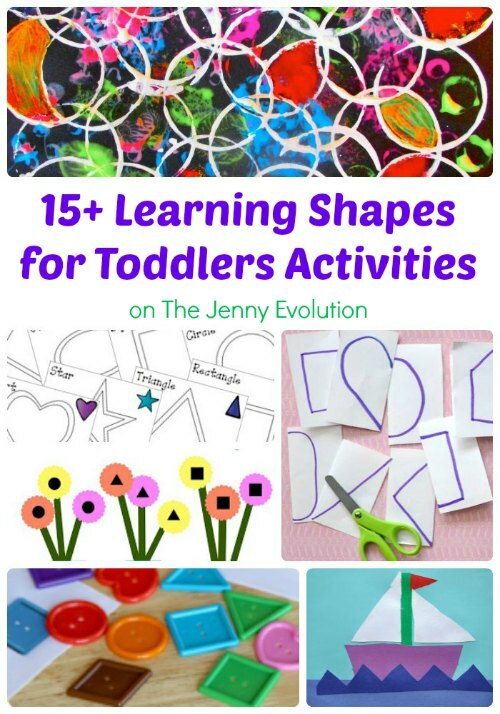 So dive into these learning shapes for toddlers activities and start the love and understanding of math early. Every week you can find amazing projects, crafts and activities to do with your kids with the Kids Co-Op, and I’ll be highlighting some of them with a common theme. This week’s theme is learning shapes for toddlers. A Homemade Shape Stamp | mama. papa. bubba. Ohhh..I have two family members who will be getting a link to this post today! Thank you!! Thanks for inclyding our Bubble wrap Shape Printing!